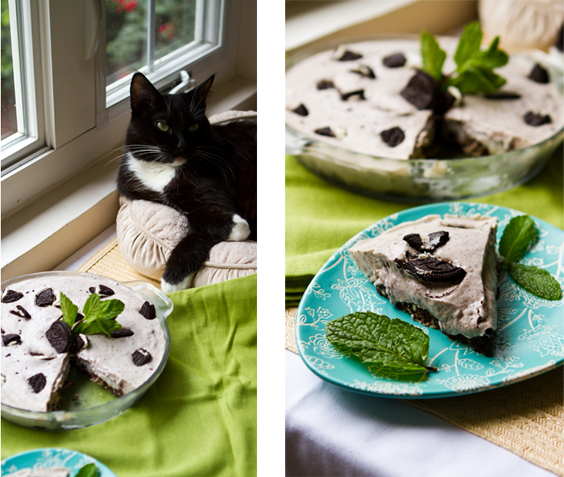 Vegan Chocolate Mint Cookie Cheesecake. 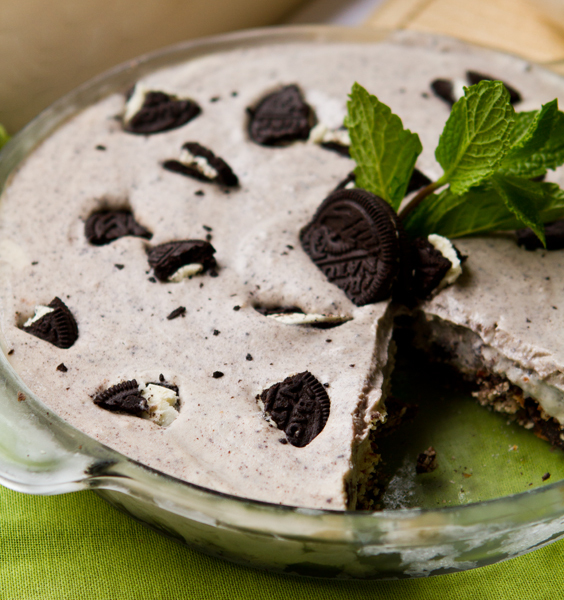 No-Bake! 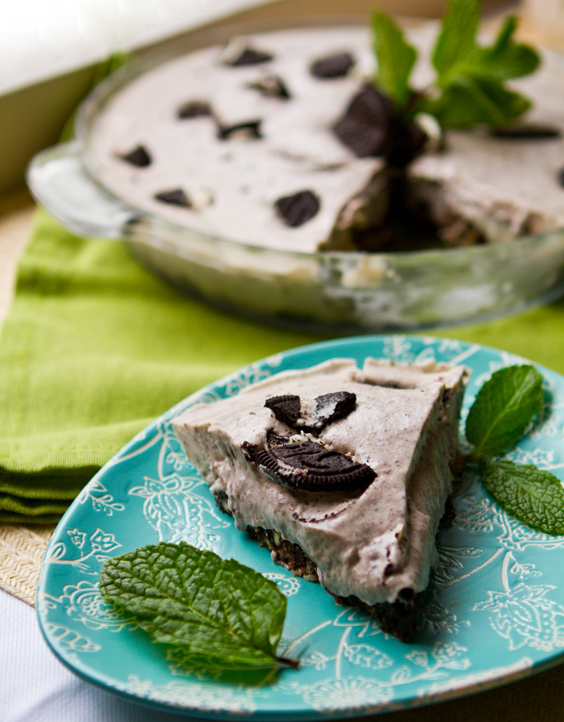 This creamy cool vegan Mint Chocolate Cookie Cheesecake is my favorite treat for March. Leprechauns, mint, green recipes, shamrock fields and golden pots at the end of sparkly rainbows are all symbols of March. A season ripe with spring fever. 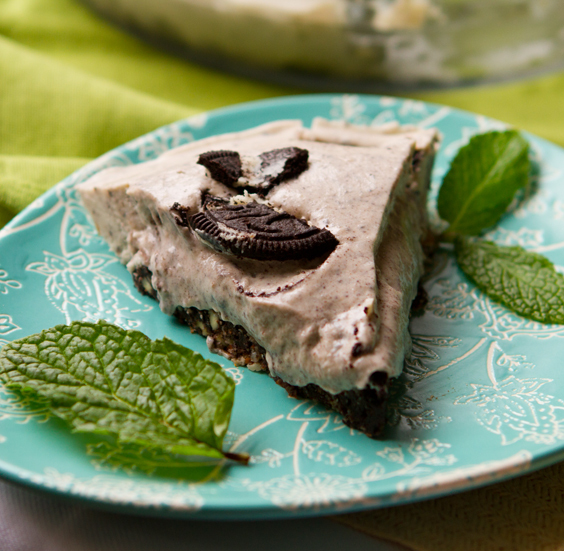 Try my minty pie dessert and bring the leprechauns to you!.. There is something magical about March. It is the end of winter, the start of a green, grassy, flower-filled spring. The cold breezes drift away and make room for fragrant sun-warmed air, blue skies and puffy clouds. Winter coats (if you even needed them this year!) get stuffed to the back of the closet and out come the flip flops, shorts, sunscreen and smoothie recipes. 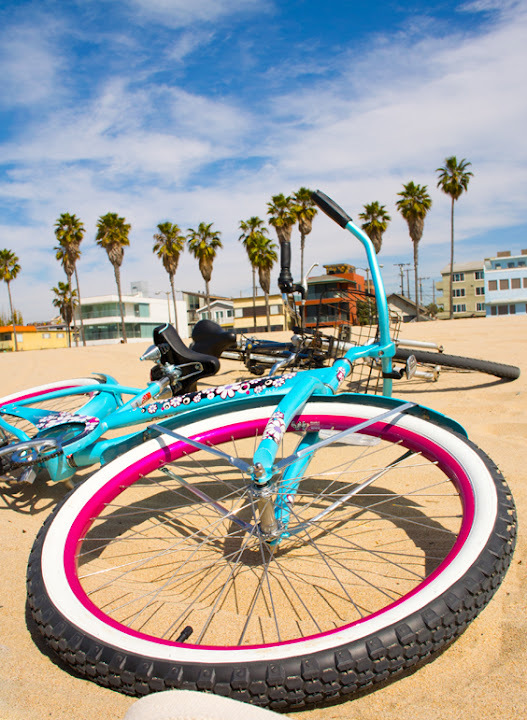 Excitement for the sunny seasons has begun. 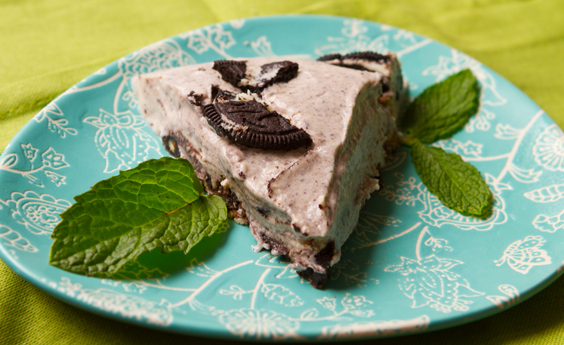 Minty March Dessert. 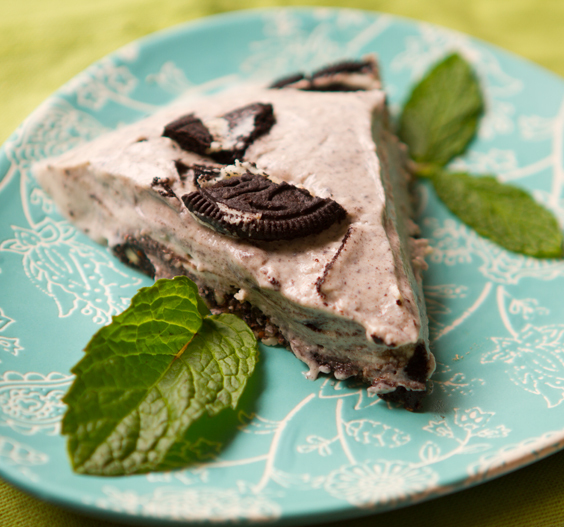 Since cookies and cream is one of my favorite 'flavors' for desserts - I decided to add a little mint accent. 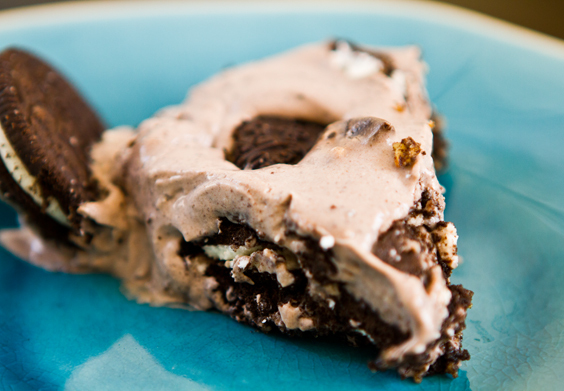 The result is a rich chocolate-infused, creamy cool, cookie pie vegan dessert. As you can see, I've been testing this recipe a lot this month.. 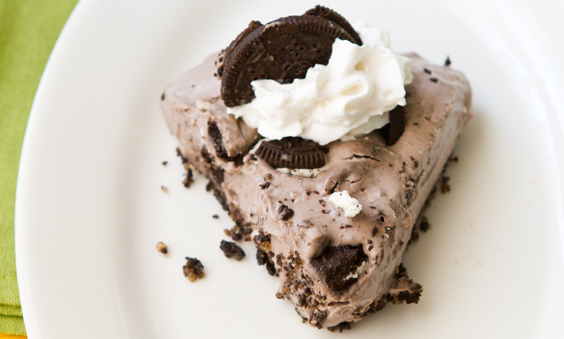 The final recipe posted below is my easiest version so you can whip this up in a flash. 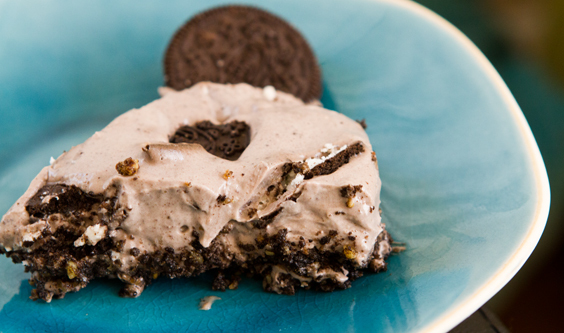 You can get fancy with your crust or do something really simple with crushed cookies. 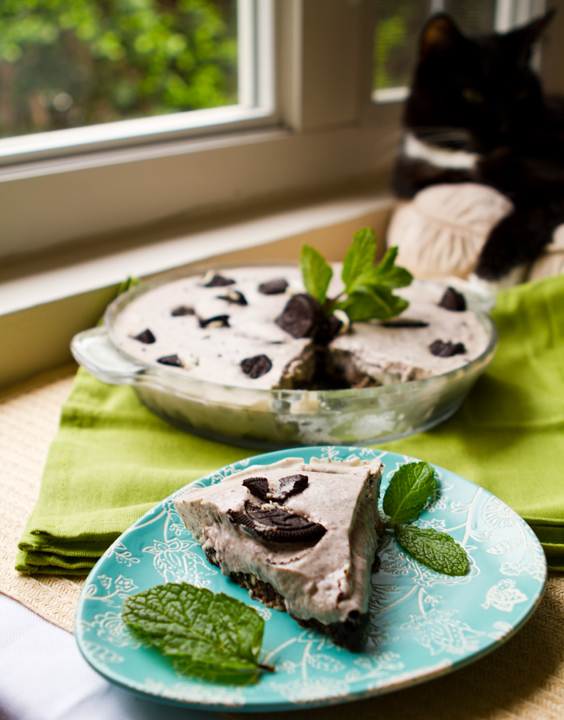 And if you want to add in chia seeds, soaked cashews, agar agar and other vegan cream pie stuffs, go for it. And I think a green avocado would be a kinda cool minty green accent too! A note on.. vegan chocolate cream cookies. I like Back to Nature and Newman's Own brands. They are vegan. Oreos are not, or maybe they ARE vegan. Vegansaurus has a discussion. And you could also use creamless chocolate cookies if you'd like. Or for all you vegan Martha Stewart's out there, use some homemade vegan "thin mint" cookies. I love these recipes: ForkAndBeans and Pure2Raw. 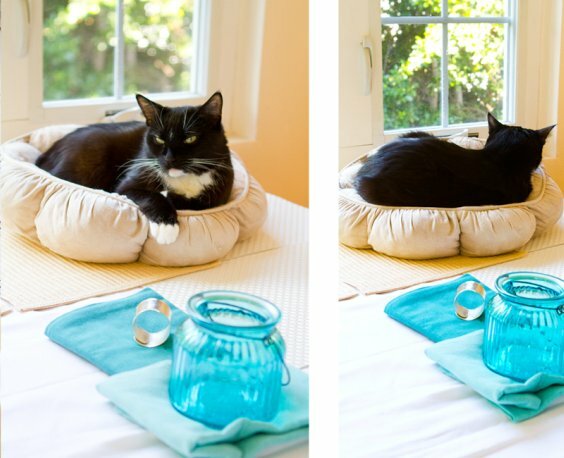 And I'm sure Nelly will be glad to have many more sunbeam naps..
1 cup crushed chocolate cookies + 1/2 cup crushed walnuts or almonds (crush both in Vitamix.) 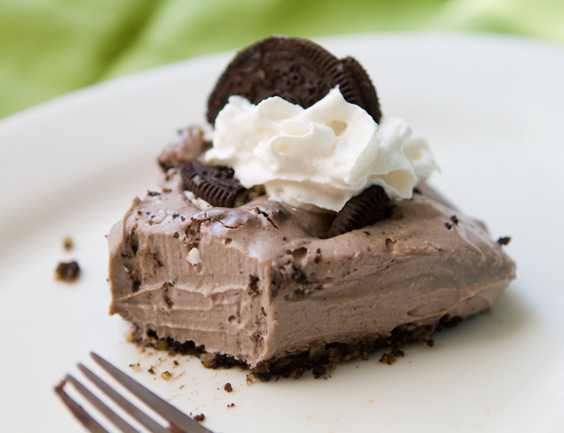 - press mixture into a greased pie dish. Or use your favorite crust recipe, cookie or flour. 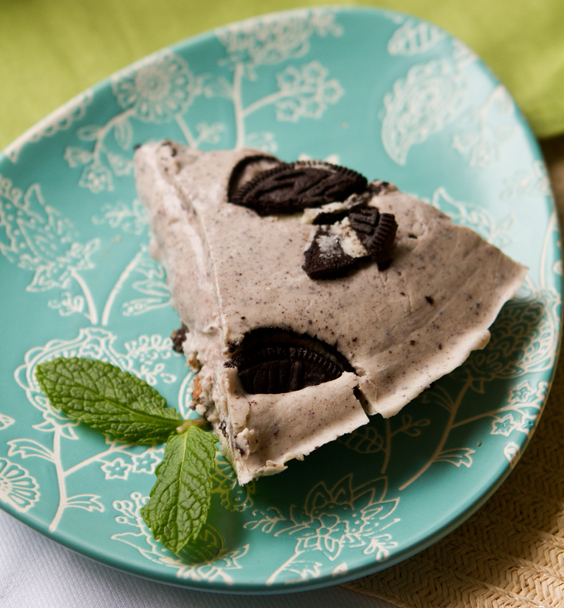 tip: In my crusts, I love using my leftover almond meal from making almond milk! 1. Prepare your crust and set dish aside. 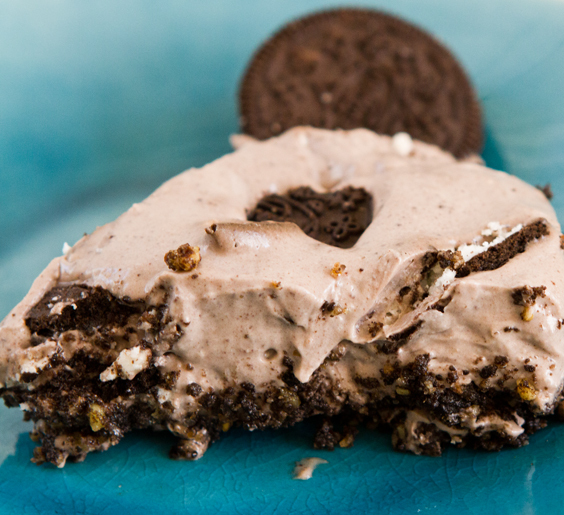 I simply blended the chocolate cookies with the walnuts and pressed into pie dish. If you'd prefer a baked cookie or flour crust, go for it. 2. Add all ingredients (except the coconut oil) to a high speed blender like a Vitamix. Blend until creamy. Notes: If you want pure white filling with black cookie accents, do not add cookies to blender and simply press crumbled cookie bits into filling at end. I like a mixture of both blended and pressed cookies. 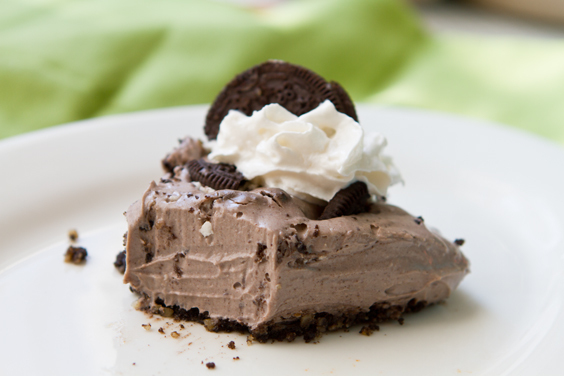 Note that blending cookies directly into the pie filling makes it a tad sweeter. 3. Continuing to blend the filling, slowly pour the melted coconut oil into the blender while the blender is on the lowest setting. Do a taste test of filling and adjust salt, sugar, cookies or mint extract as needed. 4. Pour filling over top crust. 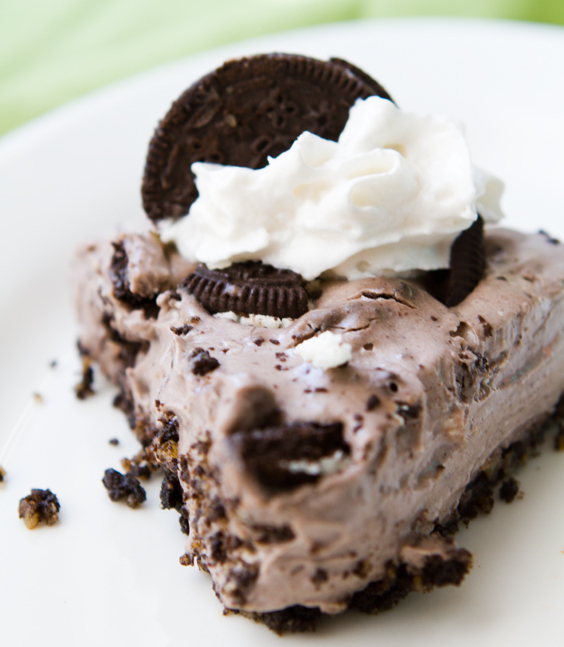 Add cookie crumbles over top that. Press into filling so they sink a bit. 5. Cover and chill in fridge overnight. 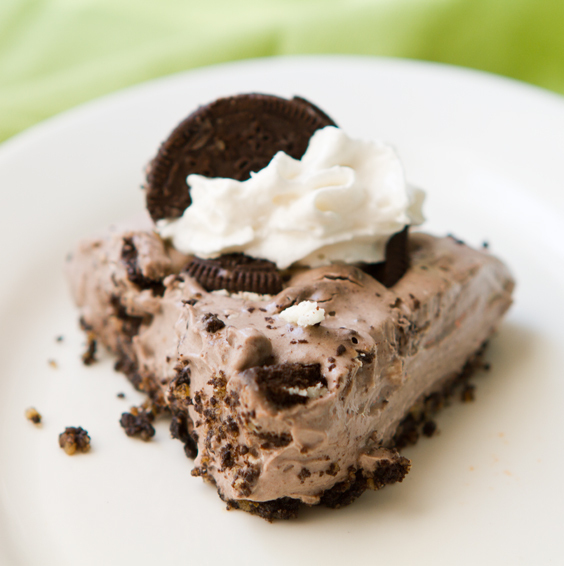 If you need to serve same day, place in freezer for about 20 minutes, then in the fridge for another hour or two. You should be good to go. 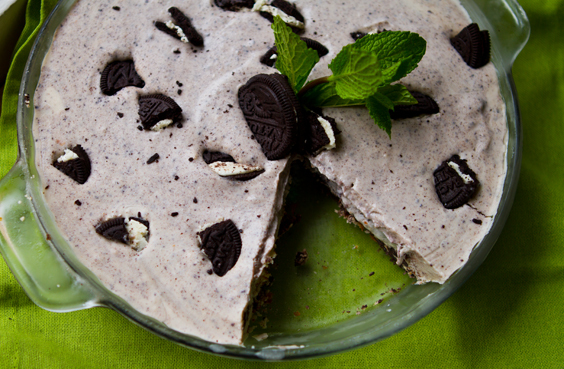 Serve chilled with soy, coconut or rice whipped cream, fresh mint and a vegan cookie accent.